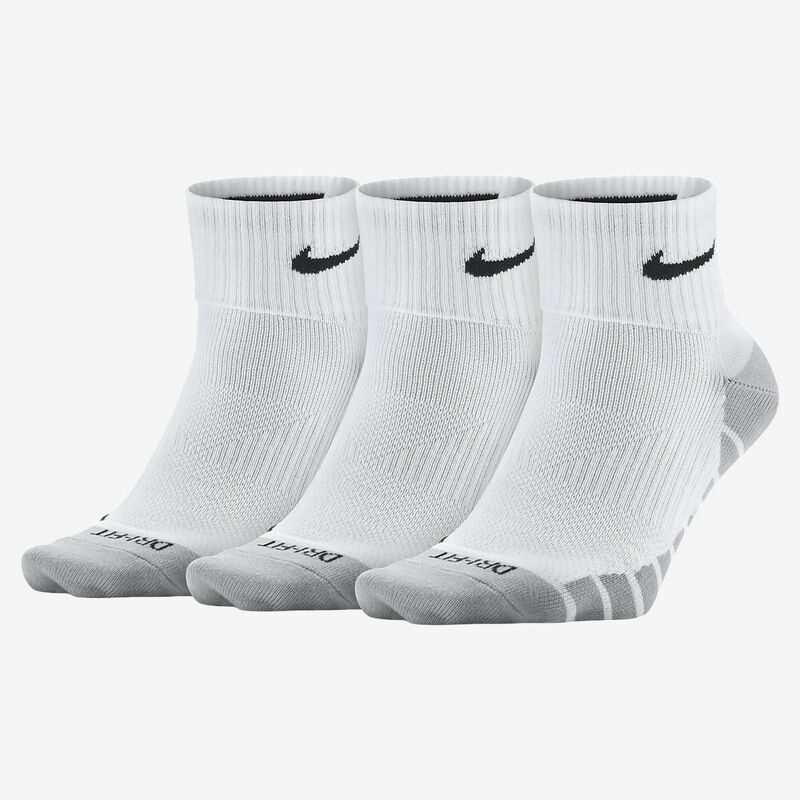 The Nike Dry Lightweight Quarter Training Socks feature sweat-wicking fabric and arch compression to help keep your feet dry, comfortable and supported. 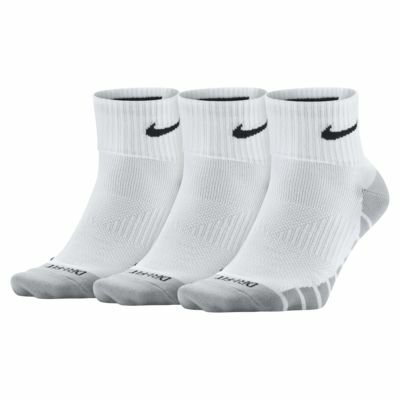 I am a size 5 and got a size 5-8 of these socks, they fit perfectly and are very comfortable. Very appropriate for my basketball workouts!